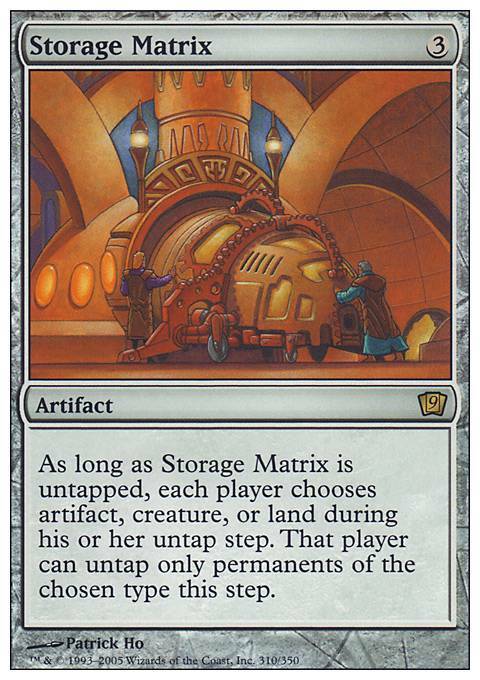 As long as Storage Matrix is untapped, each player chooses artifact, creature, or land during his or her untap step. That player can untap only permanents of the chosen type this step. In Modern, you can use Clock of Omens, Trinisphere and land destruction to achieve similar results, if you keep them down to a few lands. 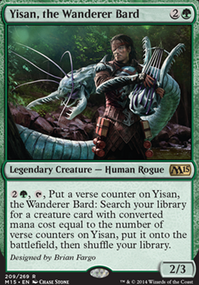 I remember hearing somewhere that there were some viable modern brews that included Hokori, Dust Drinker. 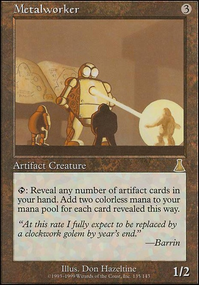 If you're maximizing the Clock's ability, you might as well run other cards that care about being tapped, like Storage Matrix, Howling Mine, Blinkmoth Urn. Needs more stax. 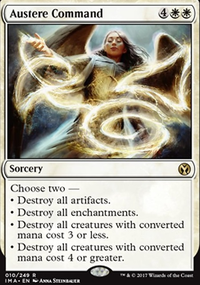 Cards you may want to consider: Hanna's Custody, Thorn of Amethyst, Ethersworn Canonist, Thalia, Guardian of Thraben, Fall of the Thran, Global Ruin, Keldon Firebombers, Smallpox, Slaughter the Strong, Stronghold Rats, Necrogen Mists, Ensnaring Bridge, War's Toll, Tectonic Instability, Rite of the Raging Storm, Tainted AEther, Fulminator Mage, Divine Presence, Storage Matrix, Grave Pact, Bottomless Pit, Stoneshaker Shaman, Aura of Silence, Mesmeric Orb, Bounty Agent, Noetic Scales. Not every one of these cards need to be included. Pick which ones you feel may suit you best as these are some of the best stax cards in your colors to choose from. @lagotripha: Hey, thanks, I'll be sure to check out that list! I'm purposefully avoiding Night of Souls' Betrayal, though, because I can't play worms with that around (and they're kind of my only real wincon). Storage Matrix seems really fun! I'll try to make room for it, since this deck doesn't have to worry about untapping only lands. Languish is nice, but I'm not even running four mutilates yet, so I probably don't need eight haha. Though maybe I could try to go up to four, it's a great card. 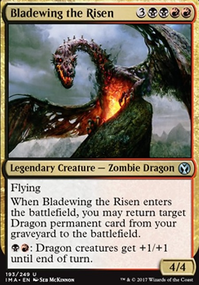 Spiteful Visions and Triskaidekaphobia seem a bit risky, though, since I'm already drawing cards and causing loss of life to myself, so I feel like they could backfire more often than not. 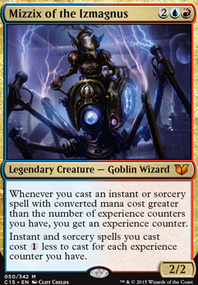 Mono black deckbuilder's toolbox is my big list of modern-tested mono black tools. Night of Souls' Betrayal is cheap now, but a powerhouse in multiplayer, and Storage Matrix is a simlar decent disruption tool. Languish lets you play 8 mutilates. 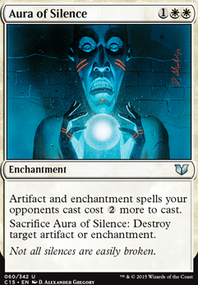 Spiteful Visions helps stop people comboing out and keep answers in hand. Triskaidekaphobia can be fun with multiple people messing with life totals. Wouldn't Thorn of Amethyst hit you harder than anyone else? You run a lot of rocks so Winter Orb would be more asymmetrical in your favor. You only have 2 instants so Defense Grid would be in your favor too. You might like Storage Matrix. 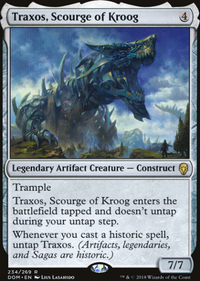 Almost all your creatures being artifacts means you only ever have to choose between lands and artifacts, if you have enough rocks then the choice becomes obvious. Meanwhile everyone else is dealing with split resources. Keep on taxing those color playing fools, you're doing good work.